This three section tree with hinged branches is easy to assemble and will become your holiday centerpiece for years to come. 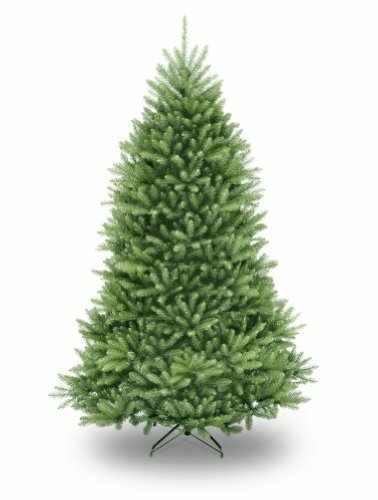 Its full shape, featuring over 2500 branch tips, will hold light strings and ornaments with equal ease. 59" diameter at base, includes metal tree stand.